In the automobile and the motor world, the more efficiently and fast the motor rotates the more is the productivity and speed of the work. It is thus important to have the best and the appropriate motor magnet for a motor so that it works efficiently. China High Tech Corporation has thus come up with some best motor magnets with efficient quality and effective work which will help your motor to work perfectly. We get some of the most desired magnetic products from lands which are mostly used in motors like permanent magnet D.C motors, wound field D.C motors, gear motors, custom D.C motors and much more. We get these magnets efficiently and implement them in the most appropriate way to work with your motors. 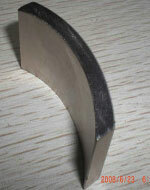 From the most capable and mostly used motor magnets, we use Segments magnets of the best quality. 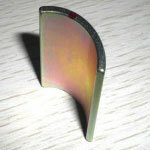 Apart from this we the China High Tech Corporation Limited you will also provide with the best cilinder magnets which are also highly used motor magnets. We also use the rear earth magnets in the best manner as they are best suitable to use as motor magnets. To get the best out of a magnet or a motor it is important to use the magnetic material efficiently with the best technology. We at China High Tech Corporation use the best quality magnetic materials with the most appropriate and advanced technology to give you an excellent output. Our team daily focuses on bringing some of the best magnetic solutions with highly effective technologies to give you the best motor magnets. Some of the magnetic materials used for this purpose are Neodymium-Iron-Boron magnets, NdFeB magnet etc. For making these materials the best motor magnets, highly efficient technologies are used which utilizes new Sintered NdFeB magnet techniques and equipment such as strip casting, HDDR technology max from 33-53MGOev, max working temperature up to 230°C. This makes the motor magnet more capable of doing the required task and also helps in effective completion of work. At China High Tech Corporation we make sure that the material we use and prepare possess the best magnetic properties like high coercive force, (BH) max from 33 to 53MGOe, max working temperature up to 230°C. These qualities make the magnet more capable of working effectively and efficiently. So, we test these properties of the magnet and enhances the quality of the magnet so that it works effectively as a motor magnet. N33-N52,33M-48M,33H-48H,30SH-45SH,30UH-38UH, 30EH-35EH are the grades which are widely used as motor magnets. Apart from this the desirable sizes of the motor magnets include Segment/ Arc, R x r x H x Degree, Customized with the coating of Ni, Zn, gold, copper, epoxy, chemical, parylene and so on. This makes the magnet the best motor magnet which you will get with the best properties associated with the China High Tech Corporation Limited.